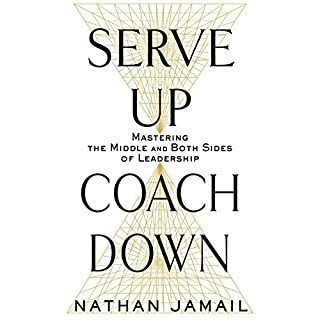 Serve Up, Coach Down tells leaders in the middle just how powerful they are without pretending that leading employees and reporting to bosses don't require different skills. 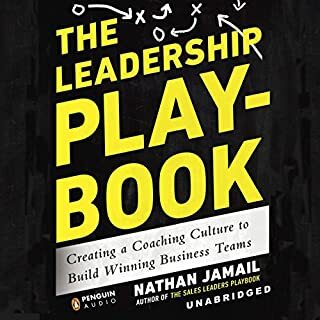 It fills the gap between the books those leaders consume and the information they actually need and answers the big questions that constantly confound leaders and their companies: Why do leaders who care about their teams still struggle to gain their boss's approval? Why do those same leaders who feel they serve their teams have so much difficulty getting teams to step it up and go beyond the basic requirements of their jobs? 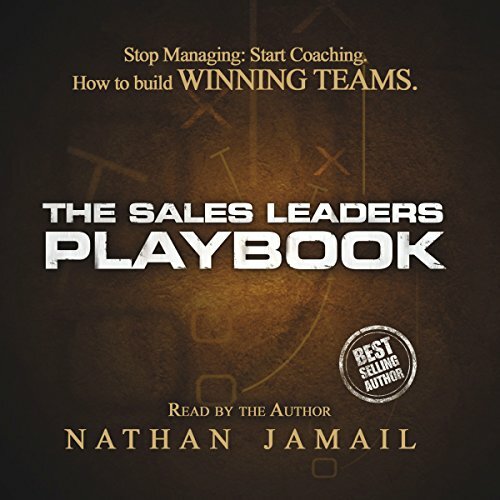 Experienced sales professional and entrepreneur Nathan Jamail has developed a playbook of techniques and best practices, which have allowed thousands of sales professionals to find success in their selling. 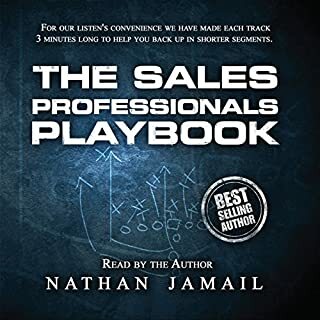 From prospecting for new clients to establishing likability, trust, and influence with clients, The Sales Professional's Playbook focuses on how to help sales professionals take their sales from poor or mediocre to surpassing limitless expectations. Nothing in this book is theory - it is based on personal experiences learned throughout Nathan Jamail's extensive sales career. There are enormous differences between managing and coaching. Yet many companies and organizations encourage their leaders to coach teams without ever teaching them how. Nathan Jamail, a leading consultant, professional speaker, and the president of his own group of businesses, trains coaches at several Fortune 500 companies and learned that it takes not only different skills to achieve success, but a truly effective coach needs an organizational culture that creates and multiplies the success of every motivated team member. 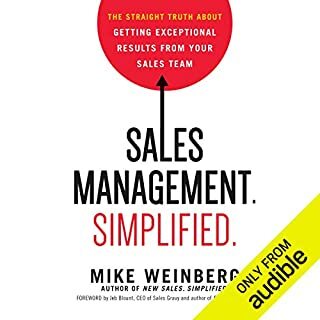 There are literally thousands of books on selling, coaching, and leadership, but what about the particulars of managing a sales force? Where are the frameworks, metrics, and best practices to help you succeed? 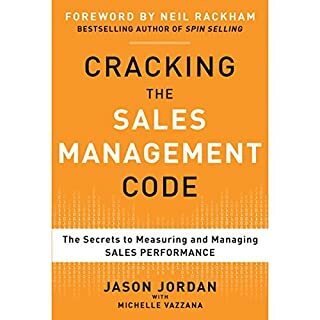 Based on extensive research into how world-class companies measure and manage their sales forces, Cracking the Sales Management Code is the first operating manual for sales management. Learn the five critical processes that drive sales performance, how to choose the right processes for your own team, and much more. Get out of the firefighting business and into the business of developing the people who develop your profits. Successful salespeople rightfully become sales managers because of superior sales records. 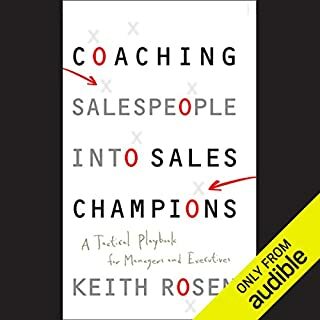 Yet too often these sales stars get stuck doing their old sales job while also trying to juggle their manager role, and too often companies neglect to train their sales managers how to excel as managers. That's the "sales management trap," and it's exactly what The Accidental Sales Manager addresses and solves. Did you know that nearly half of salespeople fail to meet their quotas every year? Or that many of the most common sales behaviors drive down sales performance? In today's fiercely competitive marketplace, you can't afford to lose sales that should be yours. But with so much conflicting advice from self-proclaimed "gurus", how do you know which sales strategies actually work? Leading sales trainer, researcher, and CEO of Hoffeld Group David Hoffeld has the answer. Make a commitment to begin today. No matter what your job, you get paid to help people. The more people you help, and the better you help them, the more success you will achieve. Remember this simple phrase, If you believe you can do it you will. Good book for structuring your leadership. I found the book as a great tool to structure training, development, vision and discipline around. I have 15 years of retail and 11 years of sales experience. I would recommend this book to people in either field.